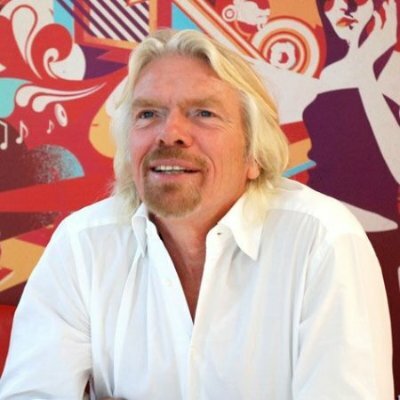 One of my all-time favorite entrepreneurs is Richard Branson, (Sir Richard Charles Nicholas Branson to be exact) the UK Billionaire who dropped out of school at 16 years old to later launch Virgin records. His birthday is tomorrow, July 18th, so let’s all wish him a VERY happy 65th. Not that he’ll EVER retire! Branson founded Virgin Group, which includes 400 companies in 30 countries. His personal net worth is $4.8 Billion, but his influence far exceeds his wealth. For example, on LinkedIn he is the #1 influencer there, with 8,137,000+ followers. His latest ventures include suborbital space tourism, and writing witty books. He may even have a few more books coming, having recently penned The Virgin Way: How to listen, learn, laugh and lead. Like Benjamin Franklin, one of Branson’s first ventures was launching a magazine, called Student. he knew early on that publishing was a fast way to success. This is why one of the longest chapters in my DefineYourCareer eBook is about vetting your values – so you can clarify your business purpose to guide your career choices, like Branson has done so spectacularly. His sense of adventure permeates everything he does, in both business and personal ventures. You can sometimes find him high above the earth in flight.